Ziyarat Kaka Sahib, which is in District Noshera, Province N.W.F.P , Pakistan. 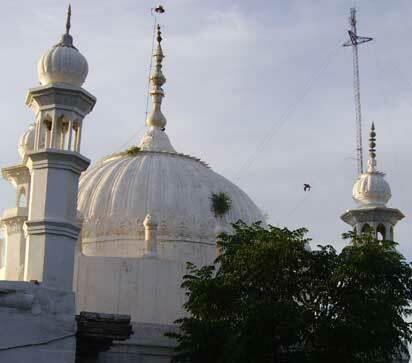 We have captured few pictures of the Dargah for your site. We have travelled almost 160 km to visit there. This is a very famous and old Dargah, Hazrat Kaka Sahib, Its has been here since the era of Mughal King Akbar. Akbar visited there to meet him, place of meeting was constructed by Akbar. That place is still there. All Kaka khels in the world are from the race of Hazrat Kaka Sahib. The place is not populated, it is crowded by the montains. Dargah is very famous against saya and jinnat. People come here in bad situation and go home happily. At dargah they used to close the effected people (in the dargah of Hazrat Haleem Gul Baba who was son of Hazrat Kaka Sahib) for few seconds or one minute and then get them out. Just by doing this people became free of any bad thing and effect. Kaka sahib is the main reason of peace in the area, because there is tribal culture in the area. People respect Kaka Sahib and avoid fighting. It is strange for me that Govt and People both doesn't bother to keep their historical buildings in the original shape. Any ways we will do what ever we can do with you.